My son is 9 years old, just started 3rd grade. Sometimes I step back and pause in disbelief… What happened to the last 9 years?! A big kid is before me where a chubby little toddler once stood! Time passes quickly and the way my son sees the world has changed. It is tradition at our church to present children entering 3rd grade with a new Bible. This replaces the Bible they received in preschool, one filled with stories and big, colorful pictures. 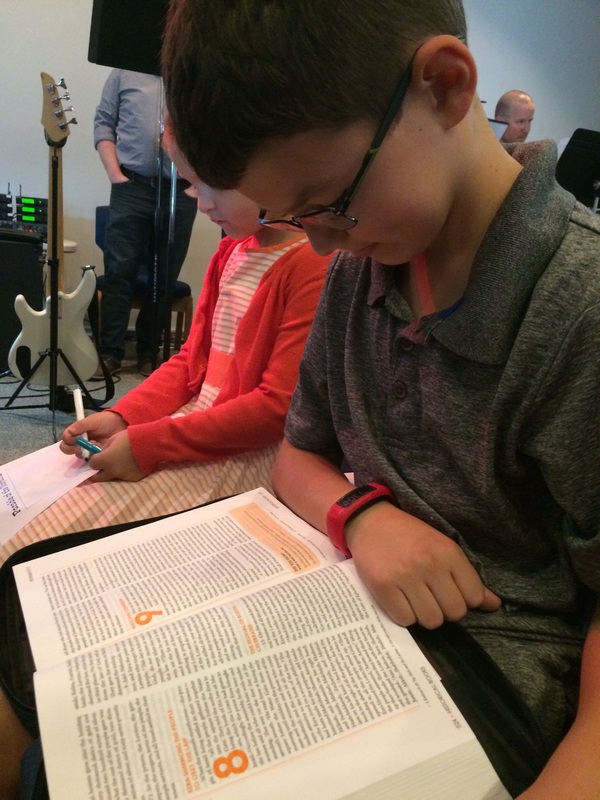 My son brings his new Bible to church every week – and he actually reads it! He reads the verses we recite during worship, plus the chapter before and the chapter after. He wants to learn – to understand at a deeper level! He can comprehend more and has the capacity to ask probing questions. We can be more candid about the reality and complexity in our world. With that in mind, I have two very different stories to share. Last Spring, I sat in a church – not my church. There were banners hanging around the room with the standard messages: He is Risen! and Holy is the Lord! 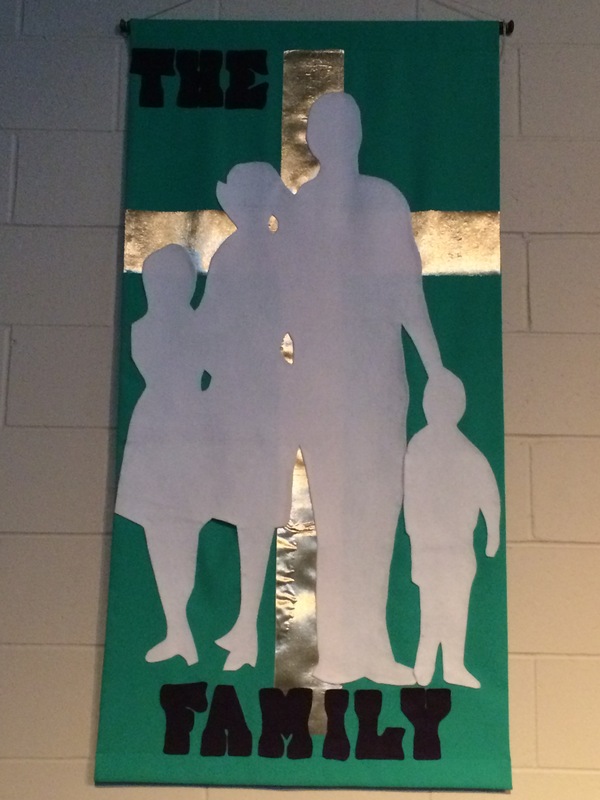 But I noticed one banner, displayed prominently in the front, just to the side of the altar: “The Family” – with a silhouette family in front of a cross. One man, one woman, two kids – a boy and a girl. Add in a dog or two, and you have it all. To be honest, I sat there and felt a mix of embarrassment and disgust. What do I say to the person sitting next to me with a family that does not look like this? To a single adult, or to the young child with a single parent or two moms, or the family living with grandparents or expanded with adopted or foster kids. Would those families feel welcomed? It felt hurtful. It did not feel like love. Mikah’s message was inspiring! In his youth, he felt the sting of being cast aside by his church, but could now stand proudly and declare God’s love for all. My son was engaged by Mikah’s message! My son understood! My son has such a big heart; he is gifted with empathy and can naturally sense when someone needs a helping hand, a kind word, or a big hug. When someone is upset, he finds a way to break down walls and change hearts. There is so much I can learn from this kid! Kids get it – so why do we make loving others so complicated? We focus on fighting about differences, but we forget to consider what it means to love. So while I watch my son get this new Bible and begin a new phase in his faith journey, I remember that I too continue to learn. When it comes to showing love in the world, there is a lot to learn – and my son is a great teacher! Categories: Family | Tags: children, church, commandment, God, inclusive, learning, love, welcome, worship | Permalink.